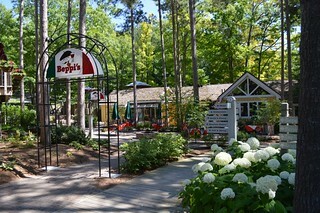 An Italian-Themed Sports Bar – Beppi’s is located in the pedestrian Village close to Fiddler’s Pond, Little Belle and the ski slopes. Enjoy an array of appetizers, sandwiches, salads, pasta, hand-tossed pizza, desserts and a full bar menu in an old-world tavern atmosphere. Carry-out is available and no reservations are required. An old-fashioned pizzeria – perfect for a relaxing meal with your family, or for a drink with friends while the big game plays on one of our televisions. A stunning courtyard with two outdoor fire-pits is perfect for a special event, or just a place to grab a drink and watch the stars.